Building a house is a big decision, and you want to remember the process with a smile as you enjoy your home for years to come. So how do you know when choosing a builder, which builder is going to come highly recommended and live up to that name? And how can you trust the builder you choose will lead you through the steps, pay attention to detail, and make your dream come alive? We have put together a list of 5 things we think are important to look out for when choosing a builder for your new home. Doing your research before you sign any contracts will help you avoid the situation everyone tells horror stories about, and find yourself the right team to build you a quality home you will love for years to come. Firstly, it’s ok to ask questions. Any builder worth their salt will expect you will have a few queries. So start with their basic credentials. Are they a licensed builder? The builders you are considering should be members of The Housing Industry Association (HIA) or Master Builders Association, and fully licensed with the NSW Department of Fair Trading. 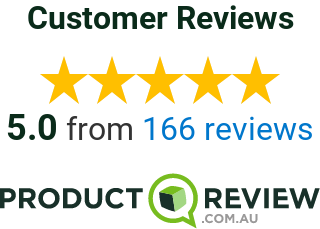 They should also be able to supply you with testimonials and reviews, either in print or on reputable online product review sites such as Product Review. Reviews supported by pictures of finished projects show that the builders you are considering have a good reputation for quality and hassle-free job completion. Do they have home indemnity insurance? You can ask your builder to issue you with a Certificate of Currency for Home Indemnity Insurance before you pay them anything. This covers you for financial loss should the builder die, become insolvent, or happen to skip town. When you make contact with a builder, check out their manners. Can you get hold of them easily? Do they call back when they say they will? Do they answer your questions clearly and honestly? If they can’t get the basics of good communication right before you sign with them, chances are it’s not going to get any better during the most important phase of building a house! Once you’ve established the basics, you need to make sure the builder can build the house you want. If you’re choosing a project home builder they should have a range of floor plans to suit different land sizes, or the ability to adjust their standard plans to suit your needs or block size. A project home builder with a wide range of basic house styles is more likely to have a house you will like as standard. It is helpful to find a builder that specialises in the area you are wanting to build in – knowing the Council requirements in Western Sydney as compared to Wollongong are incredibly different. Having an established working relationship with the local Council helps move things along much more smoothly during the building preparation and implementation. Look carefully at their inclusions lists too – some builders have very basic and even poor quality fixtures and fittings as their standard, and some consider essential items to be ‘extras’. Will you have fly screens on your windows at the end, or will that be an additional ‘extra’? Many builders will offer ‘free tenders’ which can appear tempting, but these tenders are usually not very specific and the price given will not be fixed. Not only does that mean you don’t know what the final cost will be, it’s unlikely that the bank will release your loan. Paying a fee for the tender process allows your builder to conduct thorough investigations into your block, like contour surveys and soil tests. This enables them to draw up a precise and comprehensive plan and schedule for your build, so there should be few or minor surprises during the build. All in all, cheapest is not always best, especially if the price keeps going up because of lots of things that were never included but really should have been. It’s better to go with a builder that will give you a realistic all-inclusive quote. It might be a higher quote at the outset, but you can be confident that it’s realistic and not going to come up with any nasty surprises. However, there should always be a level of flexibility. So there you go, 5 tips to get you on your way with choosing a builder to build your dream home. At Better Built Homes we specialise in building homes in Western Sydney of outstanding quality and workmanship, with a goal of exceeding our clients’ expectations every time. Get in touch to talk about your dream home and to see if we are the right builder for you. For a quick reference, check out our ‘Quick Checklist’ below. The government website – Your Home has a wide range of resources for people preparing to build their own home. The page – Before You Begin outlines the entire process, which is invaluable to read, as they say, ‘before you begin’. Additionally the NSW Housing Website has a downloadable booklet (PDF) that has loads of information on “Buying Land and Building a Home”.